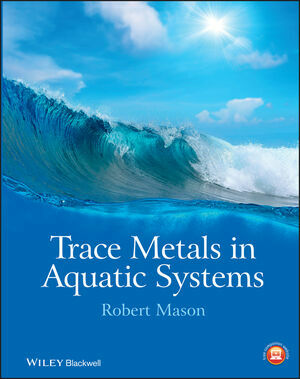 This book provides a detailed examination of the concentration, form and cycling of trace metals and metalloids through the aquatic biosphere, and has sections dealing with the atmosphere, the ocean, lakes and rivers. It discusses exchanges at the water interface (air/water and sediment/water) and the major drivers of the cycling, concentration and form of trace metals in aquatic systems. The initial chapters focus on the fundamental principles and modelling approaches needed to understand metal concentration, speciation and fate in the aquatic environment, while the later chapters focus on specific environments, with case studies and research highlights. Specific examples deal with metals that are of particular scientific interest, such as mercury, iron, arsenic and zinc, and the book deals with both pollutant and required (nutrient) metals and metalloids. The underlying chemical principles controlling toxicity and bioavailability of these elements to microorganisms and to the aquatic food chain are also discussed. Additional resources for this book can be found at: www.wiley.com/go/mason/tracemetals. Robert Mason is a Professor in the Departments of Marine Sciences and Chemistry at the University of Connecticut. His research focuses on the chemistry, fate, transport and bioaccumulation of trace metals in the marine and freshwater environments, with a focus on exchanges at the primary interfaces (air/water and sediment/water) and on transformations (methylation/demethylation, oxidation/reduction). Mercury biogeochemistry has been the primary focus of much of his research.